Born in 1963, Jonathan Holland grew up in Yorkshire and began his playing life in some of the brass bands of that region. Form 1981 until 1984, Jon studied at the Royal College of Music under David Mason. In his third year at the college, he was accepted into the City of Birmingham Symphony Orchestra and has held the position of section leader trumpet since 1987. 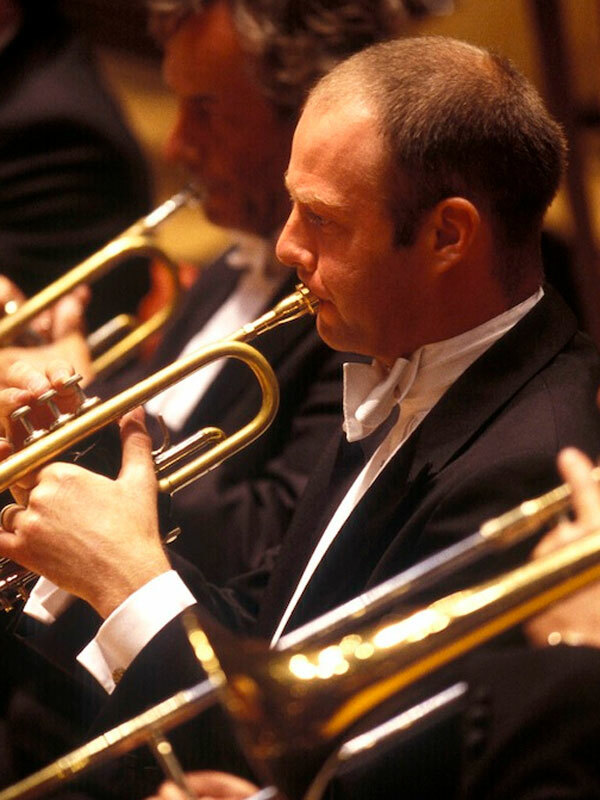 Jon has freelanced with most British orchestras (including the Adderbury Ensemble), usually as principal trumpet. He has also appeared abroad with the Ensemble Modern (Germany) and Stavanger Symphony Orchestra (Norway). Jon has performed numerous times as a soloist with the CBSO, including several renditions of Mark Anthony Turnage’s Blood on the Floor, which he also played with the BBC Symphony Orchestra at the South Bank’s Turnage Festival. Jon has a keen interest in the contemporary repertoire and has played regularly with Birmingham Contemporary Music Group since its foundation in 1987. Amongst the many highlights during this time is his performance of the solo trumpet part in Thea Musgrave’s Lamenting with Ariadne. Since 1986, Jon has worked at the Birmingham Conservatoire as tutor of trumpet and he regularly assists with examining and auditioning there.